Shindong, the talking prodigy who always laughs while answering for the interview no matter what question. The cool ‘Super Show’ must also have some funny episodes right ? 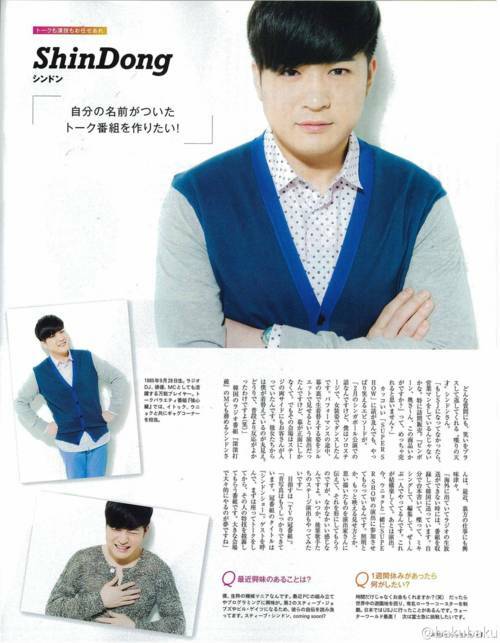 Shindong who is also the DJ for radio program ‘Shinshimtapa’ is somehow interested in working behind the scenes. Things that caught your attention lately ? If you had a week for break, what would you do ? 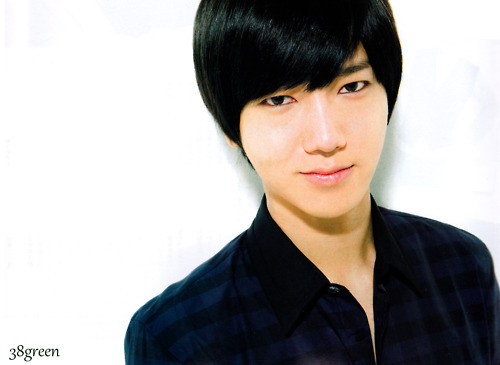 Yesung, who fascinates everyone with the deep, husky voice of his. The voice which is the origin for his stage name ‘The Voice of Art’. The moment you feel thankful as Super Junior ? 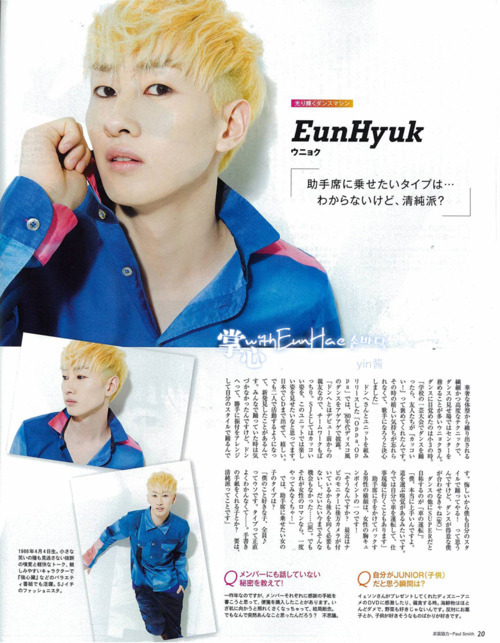 You have such a great impression for ballad, but according to Eunhyuk, ‘Yesung also raps well’, is it true ? You’re said to be less interested in girls lately. Who would you date among your members if they were girls ? Reveal the member’s secret ! 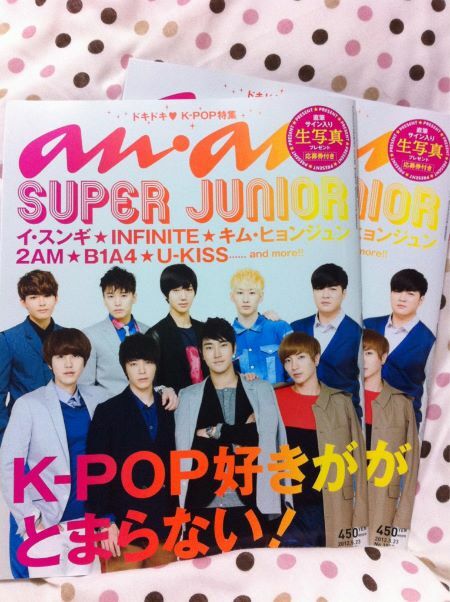 Your role in Super Junior ? 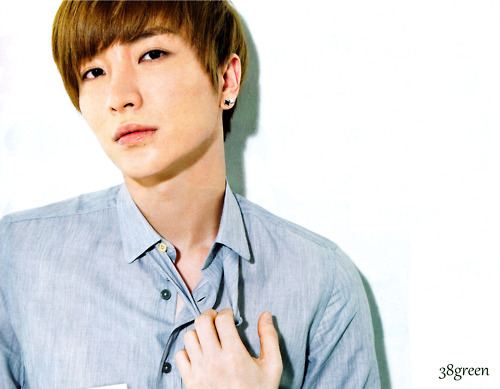 Leeteuk, who always shows his cohesive ability as a leader. Is this charisma is for an ordinary president ?! Doing activities as an MC for TV programs with his direction ability. You’re turning 29 years old soon. Isn’t it time to think about marriage already ? If you were to analyse your love style ? Song that live up your spirit ? Things that you must bring when you go overseas for work ? *Hiragana – There are 3 types in Japanese writing which are Hiragana, Katakana and Kanji (chinese character). Hiragana is the most basic one. Eunhyuk, who is always work at the center, with such a delicate and advanced dance techniques that flows from the splendour figure of his on the highlight stage. He woke up to his dream since his 3rd year of elementary school. The recently released Japanese single, ‘Oppa Oppa’ which is the collaboration with Donghae, shows a 80’s disco dance which brings us to the maximum excitement. Beside dancing, Eunhyuk claimed himself as an expert in driving. The exciting point a girl would think of a guy who takes good care of her at the passenger’s seat, turns back to make a reverse and shows only his side face ? Then, the type of girl that you’ll give a ride ? Secrets that you never tell the members ? The moment you think of yourself as a junior(kid) ? 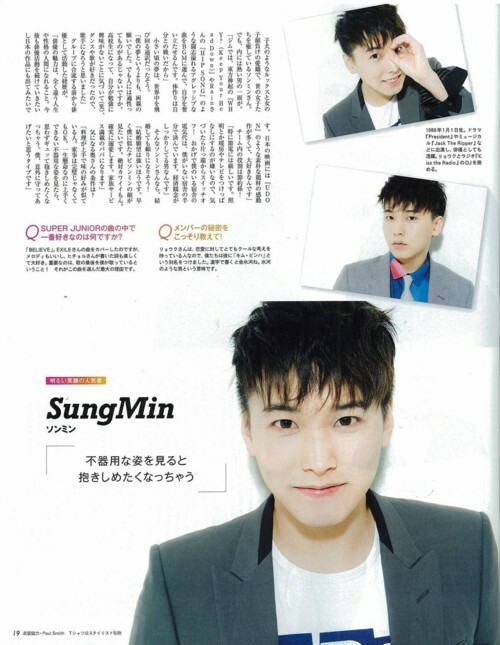 Sungmin, who heals all the girls around the world with a cute puppy-like face and an undefeated charms of his, is also a very warm guy inside. Looks like your childhood dream was to be a translator around the world. Tell us your experiences as an actor before combining in a group. Your role as a person in charge of saving in Super Junior. Then you are really reliable if you get married ! The condition that you want in your wife ? Super Junior song that you love the most ?